Princess' Paper Projects: Little Red Wagon Challenge #422 ~ Foodie! Little Red Wagon Challenge #422 ~ Foodie! Hello. It's Wednesday and a new challenge begins at Little Red Wagon. Our hostess this week is Brenda and her theme is FOODIE! She wants to see anything having to do with food or beverage on your project. 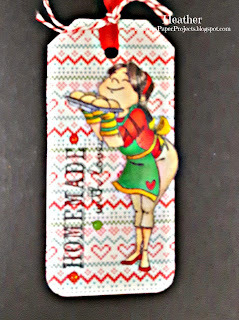 Around the holidays I often give some of my baking as gifts and I made a tag to be attached to it. Image is Kraftin' Kimmie Let Them Eat Cupcakes coloured with Copics and popped on the tag for some dimension. Paper is Knit Picky by Lawn Fawn. Sentiment is an oldie from Michael's $1.50 bins. Head on over to Little Red Wagon, check out all the inspiration and link up a foodie project of your own. Heather, this is wonderful! I love this image, reminds me of my mom baking all her Christmas cookies for family and friends. Sweet memories! BTW, I found my angel stamp! Such a fabulous tag! That image is super! 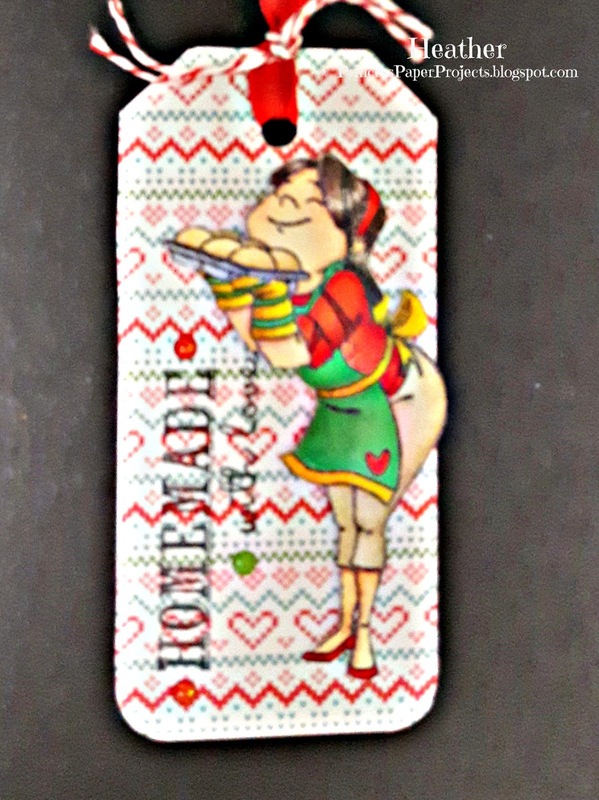 This will look especially good on your goodie packages! (I'm totally down with pretending it's Wednesday. (: ) Lovely tag, Heather! I love that image. Fab colouring too.